Known as Mother of PIL Kapila Hingorani , thirty five years back confidently approached the Supreme Court. Hingorani had a mission that day one that the Supreme Court had never heard of before and one which would eventually kick off a revolution called the Public Interest Litigation (PIL) across the country. Hingorani carried to the court the plight of undertrial prisoners languishing in jails in Bihar and she wanted the court to intervene immediately and give orders to release them on bail. The historic case, termed in India as Hussainara Khatoon Vs Secretary, Bihar. 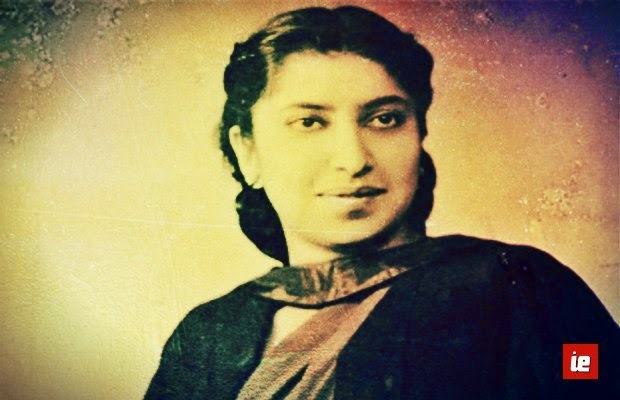 It was the first PIL in India filed by a woman. Supreme Court Bench led by Justice P.N. Bhagwati went on to release over 40,000 undertrial prisoners from various jails nationwide. The Supreme Court held in the Hussainara Khatoon case that speedy trial and legal aid to the poor are the two essentials of a PIL. The success of the Khatoon case was so widespread that the Supreme Court in the 1980s opened a new section devoted to PILs. Judicial activism refers to the interference of the judiciary in the legislative and executive fields. It mainly occurs due to the non-activity of the other organs of the government. Judicial activism becomes necessary to put a check on a political majority in legislature which might rewrite the constitution in order to be entrenched in power. During the past decade, many instances of judicial activism have gained prominence. The areas in which judiciary has become active are health, child labour, political corruption, environment, education etc. No doubt PIL has contributed a step towards transparency and accountability. One name which we usually associate in recent times with PIL is Prashant Bhushan, known as PIL warrior . Prashant Bhushan is a fearless lawyer and his well researched arguments have always been of great assistance. Recently, his revelations in the CBI , 2G spectrum, Radia tapes, coal and iron ore mining scams put the government and the corporate world in trouble. Till the Supreme Court on his PIL, ordered CBI to conduct a thorough probe into the spectrum scam on December 16, 2010, the CBI remained inactive for more than a year despite receiving information from the Central Vigilance Commission. He explained to the court how the former minister A. Raja, the prime accused in the 2G scam, allegedly committed serious irregularities in the grant of licences and caused huge loss to the exchequer. The Supreme Court cancelled all 122 licenses . Then, in the coal scam, after severely rapping the government, the Supreme Court began scrutinising coal block allocation since 1993 seeking cancellation of allocations on the ground that rules were flouted to favour certain companies. CBI has already registered 14 FIRS in the case and the role of Prime Minister. Known for his fearless arguments In an interview he had made the claim that half of the 16 former chief justices in the Supreme Court were corrupt. This shocked the judiciary. It was on Prashant Bhushan’s PIL that Supreme Court criticized the CBI of being a “caged parrot” of the UPA Government and led to resignation of minister Ashwini Kumar. On his PIL, The High Court took on the Congress-BJP and ordered probe in their Foreign Fundings and the Supreme Court took on Central Government on why Reliance is given 8$ for Gas and not 2$ as gifts given by Bangladesh. Prashant Bhushan must be judged on the Great work he has done through various PILs to expose Corruption of different government and its nexus with the Corporate’s and forcing the Supreme Court to order Probe in various Scams. We need more people like Prashant Bhushan. These PIL warriors risk their life’s and show us what really happens behind the scene. PIL undoubtedly is an extraordinary remedy available at a cheaper cost. As Justice Bhagwati observed in the case of Asiad workers case, ‘now for the first time the portals of the court are being thrown open to the poor and the downtrodden. The courts must shed their character as upholders of the established order and the status quo. The time has come now when the courts must become the courts for the poor and the struggling masses of this country’.